Every project is more enjoyable (and easier to do) when you have the right tools. Sewing projects are not any different. 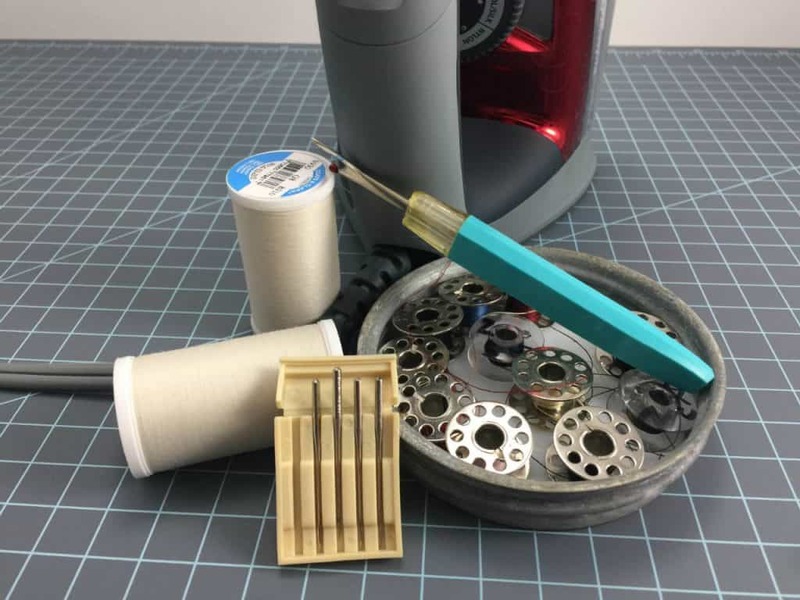 Having the essential sewing tools will allow you to prepare your material for accurate sewing, make construction easier, and hopefully allow you to feel less frustration when you have to correct a mistake. Yes, even if you use the right tools, there will be times when you’ll have to pull out stitches, recut material, or fix other errors. 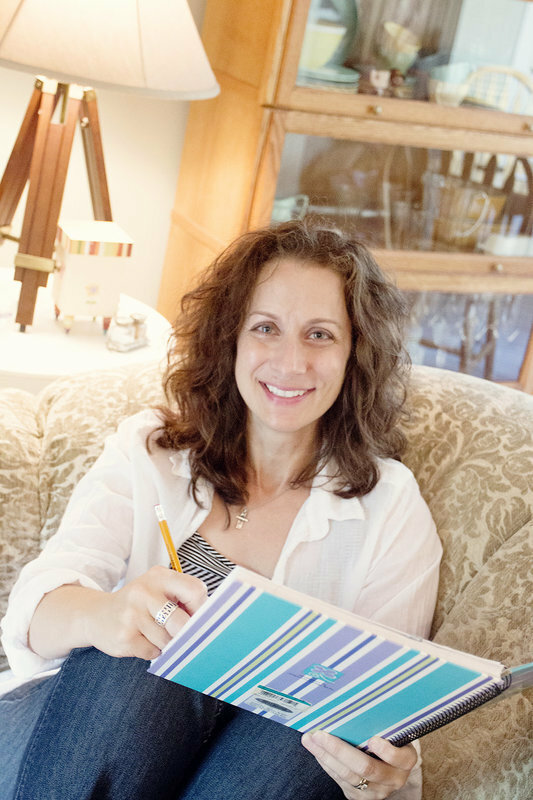 The list of tools described below are the sewing tools I use frequently regardless of what I’m sewing – clothing, home decor, purses, quilting, small upholstery projects, and the list could go on. Because I use them regularly, I believe you’ll eventually want them all when you sew, too. To help you determine what you need to get now, I’ve arranged the tools by purpose and provided an explanation for each. You will need a good pair of scissors that you will only use to cut fabric. Make sure the blades are long so you can get smooth, even cuts. Cutting anything else with your fabric scissors will dull the blades resulting in uneven cuts and possibly damaging your fabric. So, it is a good idea to have another pair of scissors on hand for tasks like cutting patterns. In addition, you may want a small pair of scissors to keep by your sewing machine for cutting threads. Storytime: Before I learned there should be a pair of scissors dedicated to cutting only fabric, I used the same pair for everything. Over time, it became difficult to cut fabric with them. So, I went to the store and ended up buying another pair of scissors that looked exactly like the pair I had. I trained my husband and son to only use the scissors with the blue tape and to never touch my fabric scissors. To this day, I still have and use both pairs. This foldable cutting board is approximately 34 inches wide and 56 inches long when it is opened up. It is a handy tool to have when you are cutting fabric with scissors. It keeps the fabric from slipping when you cut and protects table tops from pin and scissor scratches. The measurement lines are helpful when you need to square off fabric. Since it folds, the cardboard cutting board is easy to store. A 45mm rotary cutter is an excellent tool for cutting strips of fabric. I use it not only for quilting but also for small sewing projects. The rotary cutting mat is also called a self-healing cutting mat. This tool is made specifically to be used with rotary cutters. The sharp blade cuts into the mat but doesn’t leave any evidence behind that it was there. A 17” x 23” rotary cutting mat will meet most of your rotary cutting needs. Rotary cutting rulers are designed to be used with the rotary cutter and mat. They are made of clear plastic and have measurement lines on them. There are a variety of different sizes. I have more than 10 rotary cutting rulers now, but for years all I used were the 6” x 12” and 6” x 24”. Straight pins with a large head make it easy to see the pins whether you are pinning a pattern to the fabric or holding the material together while you are sewing. This has been my go-to marking tool because it is easy to remove with a little water. 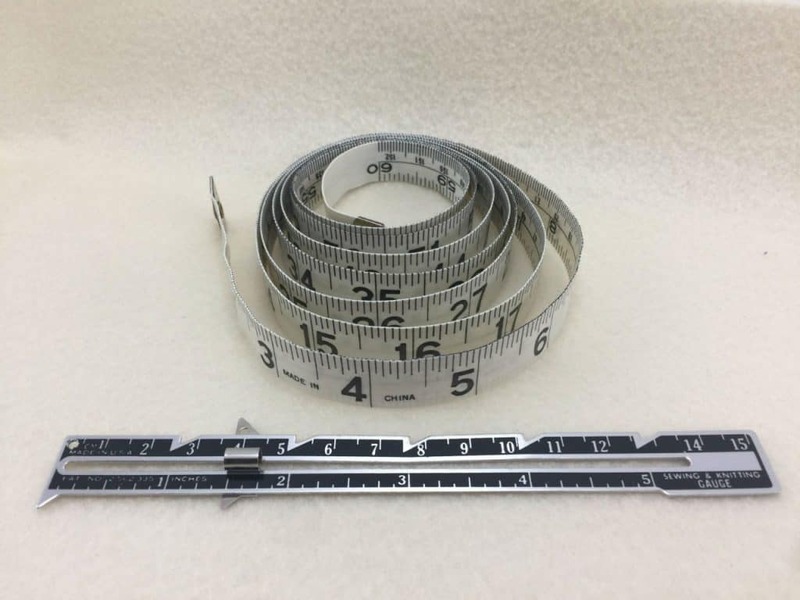 A flexible measuring tape that is 60 inches long comes in handy in all different types of sewing projects. A 6-inch sewing gauge is usually by my side when I am quilting or working with finished edges. It is a ruler with a nifty slider in the middle to get accurate measurements. I’ve learned you can never have too many bobbins. It is helpful to have several empty bobbins especially if you are working on multiple projects and/or using different colors of thread. Sewing machines use certain types of bobbins. To keep bobbin-related problems to a minimum, make sure your spare bobbins are the right ones for your machine. Needles are a key player in your ability to get a good quality stitch. It is a good idea to keep a stash of sewing machine needles of different sizes and types. Your fabric will determine the type of needle you will need. Needles can become dull, bent, or even get nicked if you leave pins in the material as you sew. Using a needle that has been damaged can cause stitches to skip as well as snag or cause other damage to the material. Needles can also break while you are sewing. It is recommended to change the sewing machine needle after every project or when you change the fabric you are sewing. This isn’t really a tool but it’s essential for sewing. For most sewing projects an All Purpose or General Purpose thread will get the job done. Thread comes in all kinds of colors. When you’re not sure what color to buy get a neutral color such as ecru or light gray. I’ve found both of these colors work well with almost any color of fabric. Running out of thread is never fun, so plan on keeping a few extra spools of neutral thread in your sewing box. This tool may become your best friend. No matter how careful you are, more than likely at least once during every project there will be stitches that need to be removed. Having this sharp tool works better than anything else you might think to substitute. Using an iron during the construction of a project gives the finished item a more professional, crisp look. It can also be used in the beginning stages of a sewing project when you are preparing the fabric. You want an iron that has multiple heat settings and where you have the option to turn the steam on and off. This little tool is necessary to clean lint and dust from the moving parts of your sewing machine. When you sew, small fibers in the material and thread end up below the needle plate and in the bobbin area. You should develop the habit of cleaning out these small spaces at the end of a project. If you are moving a lot of fabric through your machine, cleaning out loose threads and fuzz in the middle of a project is a good idea, too. Many machines have screws to tighten the needle or hold the needle plate in place. If your machine has screws, make sure you have a screwdriver so when you change the needle or need to clean out lint and dirt underneath the needle plate, you can access these spaces easily. Oiling your machine regularly will keep it running smoothly. I learned this lesson in a public setting. Storytime: I bought my first sewing machine when I was in my early 20s. It came with a small container of oil. However, I never used it. Fast-forward 20 or so years – I was at my church’s weekly quilt group. I had brought my sewing machine and was working on a project. There were about 15 other women in the room, including my mom. We were all working and talking. The lady working next to me asked if my machine was always so loud. I told her I didn’t notice it being any louder than usual. Then she asked when was the last time I had oiled it. I looked at her and said, “I don’t remember ever oiling it.” There was a collective gasp from around the room. My mom looked at me with horror filled eyes, “Never?” she asked. I received a variety of different answers from all the quilters that were there. Basically, oiling a sewing machine is based on the amount of sewing that is done. It quickly became apparent to me that my sewing machine needed to be oiled. When I got home, I looked in the sewing machine manual to see where to apply the oil and then lubricated my machine. It became noticeably quieter when I sewed and I could feel a difference in how smoothly the machine was running. Do You Really Need All These Tools? When you don’t use the right tool for the job, things can happen during sewing construction resulting in a less than satisfactory finished project. You will waste time because the project will take longer to complete. The finished project may look a little wonky. More likely than not, you’ll become frustrated during the sewing process. Is it possible to complete a sewing project without the essential supplies? Certainly. But you will enjoy sewing so much more if you have the right tools for the job. As you’ll learn, if you haven’t already, there is no end to the number of sewing tools you can buy. 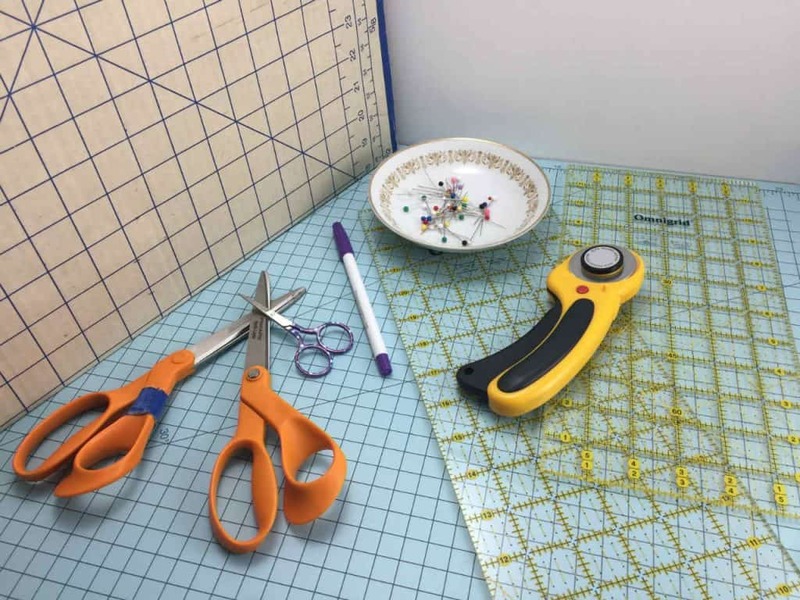 There is no need to go crazy and buy tools you won’t need at the beginning of your sewing adventure. Instead, just stick to this list of essential sewing tools. 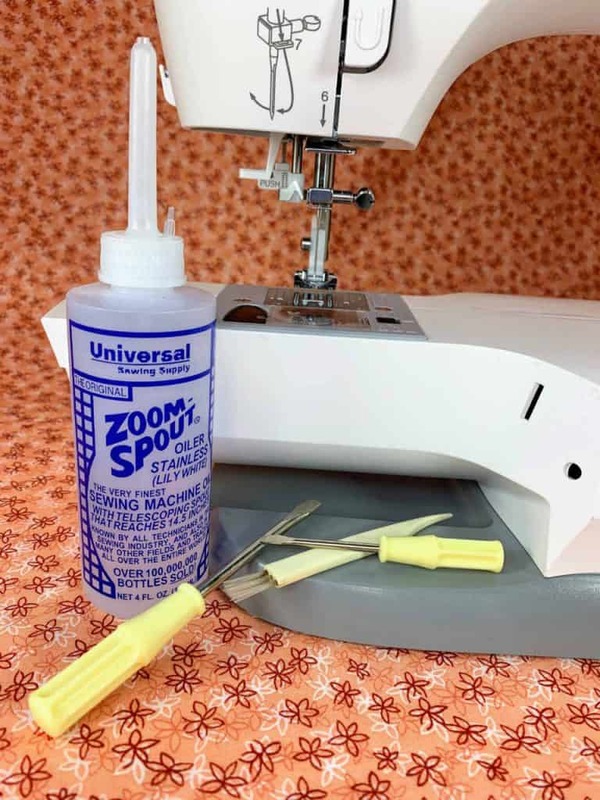 The sole purpose of this list is to make sure so you will have the essential tools to complete almost any sewing project you will do right now. Having the right sewing tools at your fingertips when you are working on a project makes a difference. Not only will your overall sewing experience be more enjoyable, but the quality of the finished project will look better, too, and you’ll be motivated to get started on your next project.